Each January, Americans commemorate the birthday of Martin Luther King, Jr., reflecting on the enduring legacy of the legendary civil rights activist. From his iconic speech at the 1963 March on Washington, to his final oration in Memphis, Tennessee, King is remembered not only as a masterful rhetorician, but a luminary for his generation and many generations to come. 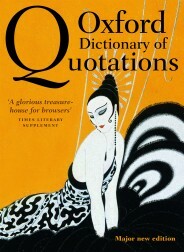 These quotes, compiled from the Oxford Dictionary of Quotations, demonstrate the reverberating impact of his work, particularly in a time of great social, political, and economic upheaval. Image Credit: Tribute to Martin Luther King, Jr. Photo by U.S. Embassy New Delhi. CC by ND 2.0 via Flickr. Elizabeth Knowles is a historical lexicographer who worked on the 4th edition of the Shorter Oxford English Dictionary (1993) and was Editor of the 5th, 6th, 7th, and 8th editions of the Oxford Dictionary of Quotations (1999, 2004, 2009, 2014). Her other editorial credits include the Oxford Dictionary of Modern Quotations (3rd edition, 2007), What They Didn't Say: A Book of Misquotations (2006), and the Little Oxford Dictionary of Proverbs (2009). She is a contributor to The History of Oxford University Press (2013).